At this year’s NAB Show, Ross is showing how its technologies, services, and expertise can help customers achieve their creative, business, and technical goals. Ross displays at NAB will be a creative playground, showing the latest in complete systems and workflows for Virtual Sets, Automated Production, Graphics Creation & Playout, News Editorial, Stadium Display Production, Houses of Worship, Assembly Meeting Production systems, and more. Join David Ross and team for NAB’s most exciting launch event and be among the very first to hear about the latest High Impact – High Efficiency Production solutions from Ross before the show opens. We promise to knock your socks off! The Ross Video Keynote and Reception has become a Sunday night pre-NAB fixture in Las Vegas where Ross Video launches new products in advance of the show. There are always surprises and unexpected news; this year’s event was no different. Ross Video’s new graphics render engine for virtual studio/augmented reality applications, based on Epic Games’ Unreal-4 platform brings stunning visuals to virtual and augmented reality environments. A brand new ceiling-mounted Furio camera motion solution with unprecedented levels of safety, stability and speed. Capable of carrying a full-sized prompter, Furio SkyDolly offers smooth, dynamic camera moves and clears floor space, enabling new creative shots and set designs. A brand new event control system that allows users centralize device control to a single server and simplify scheduling and playout of graphics, video clips and environmental devices for any live event. The first product to emerge from the acquisition of Portalis, pro-xi revolutionizes the way control rooms and command & control centers around the world are designed, engineered, and managed. pro-xi®enables control room operators to simultaneously view and actively control up to eight computer systems on one workstation, using one keyboard and one mouse. An upgrade to the Carbonite Ultra production switcher adds native 4KUHD support, enhancing it to 2 full MEs plus 2 MiniMEs with 18 inputs and 10 outputs in native 12G 4KUHD. An updated version of Ross Video’s all-in-one production switcher, graphics and audio solution that now features enhancements to the Rave audio engine including audio equalization and improved audio input and output configuration. The latest upgrade to Ross Video’s flagship production switcher includes several ‘quality of life’ improvements to make technical directors more efficient. Ross is also introducing MultiViewers with 4 heads and 4 media stores, as well as Acuity support for lower cost CB1 and CB2 hardware panels. 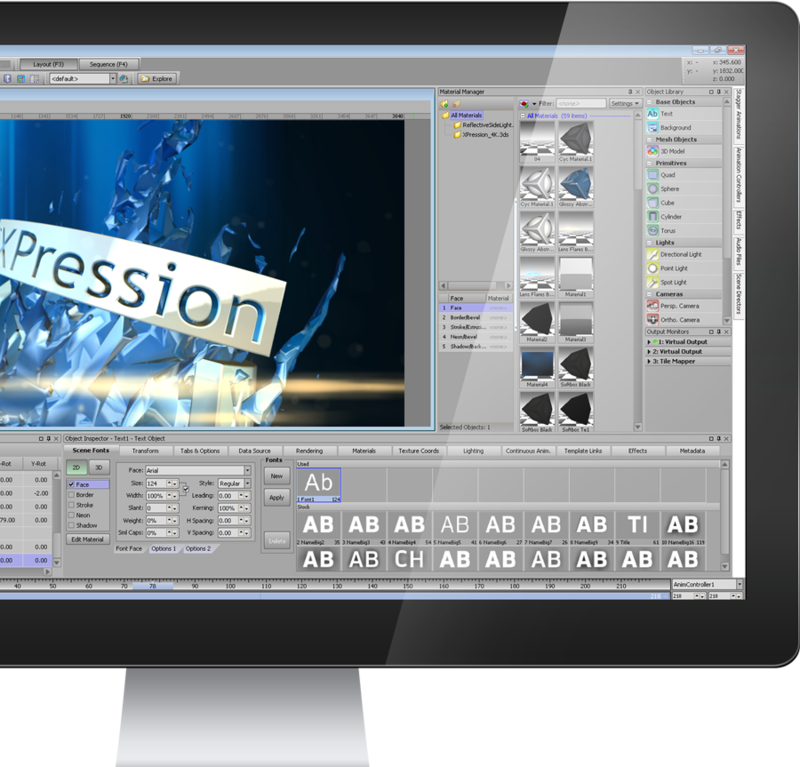 The industry’s fastest-growing graphics platform is updated with a host of new features including enhanced support for 4KUHD, HDR (High Dynamic Range) and Wide Color Gamut (WCG); in addition a new font manager, new video frame selector and a host of other features have been added to V9. Read about all other product updates and releases announced at NAB 2019! Grab one (or all) of the Ross Video’s postcards made specially for NAB 2019!